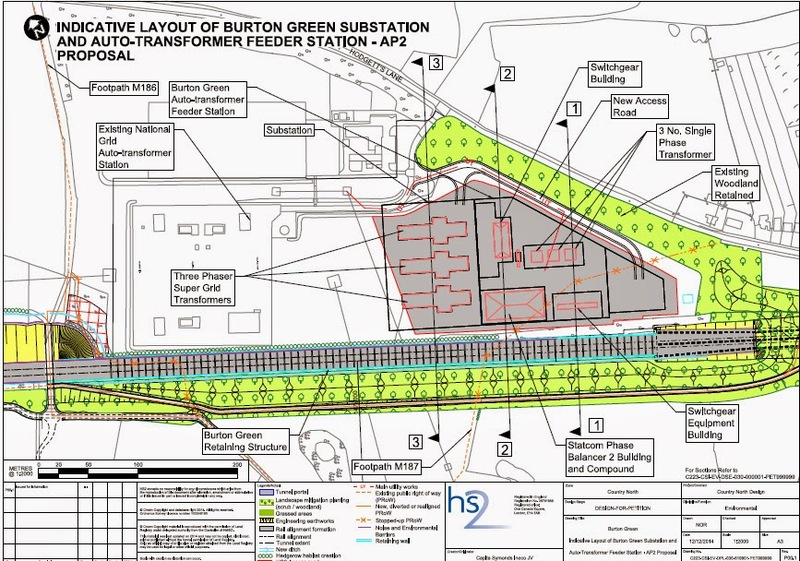 HS2 have produced and distributed a set of detailed plans regarding Burton Green, if the scheme ever goes ahead. There are 50 documents in the set. 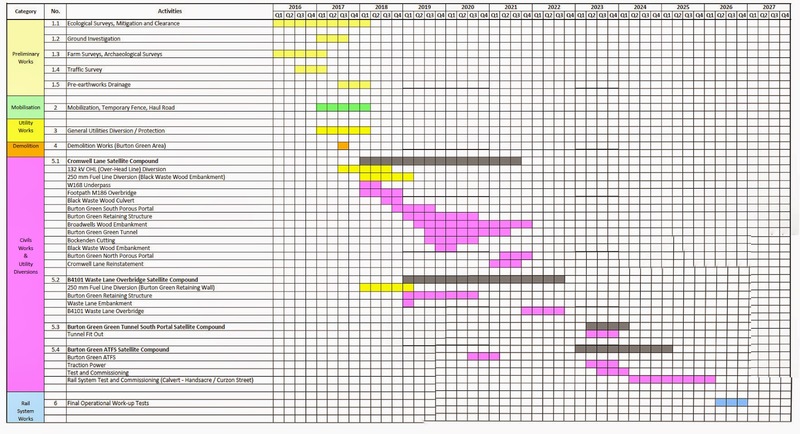 They include numerous maps and some spreadsheets. 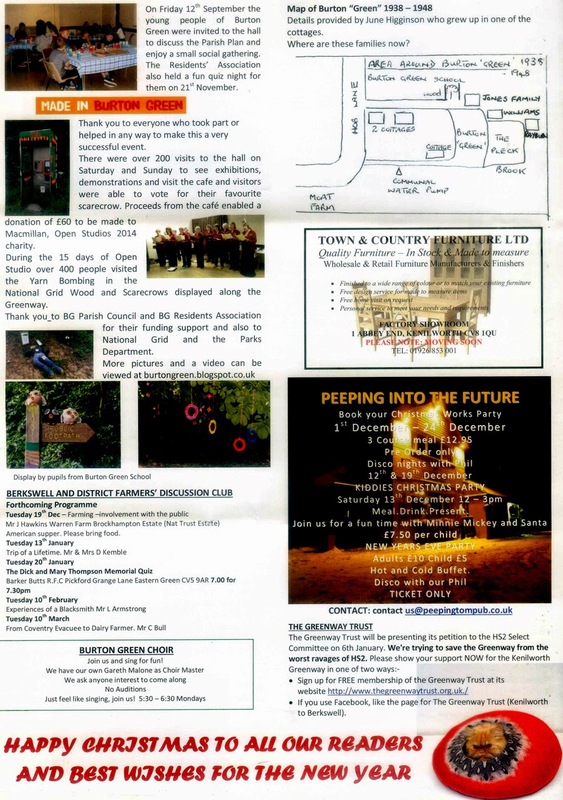 "There will be a temporary off-line diversion constructed prior to the closure of the existing road. 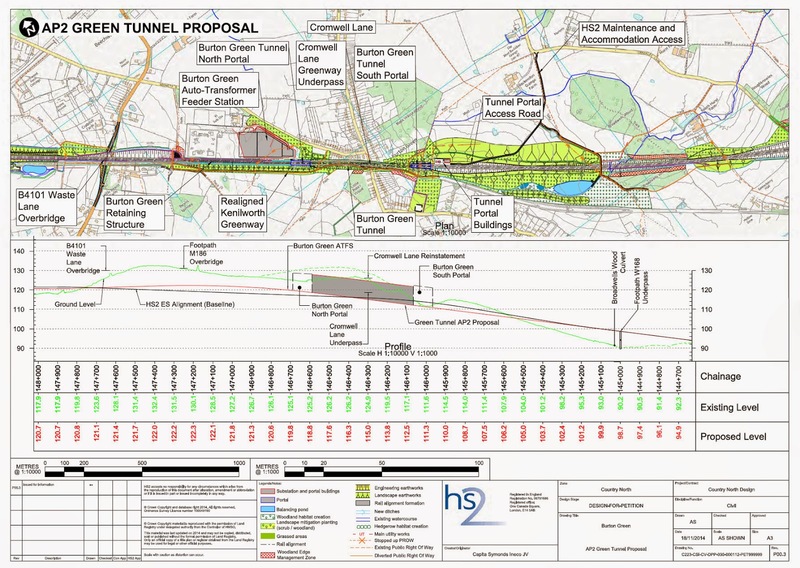 The temporary diversion will then be in use for approximately two years during tunnel construction." 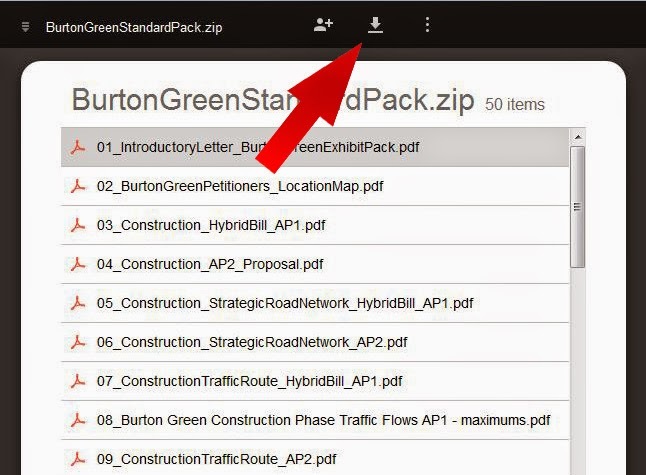 Having downloaded the zip file, double-click on the file on your computer, and you will see the 50 constituent documents. It is not possible to download individual documents; you need to download the complete zip file, You will then be able to view the individual documents. Chocolate Tri Colour Male Beagle (Adult). 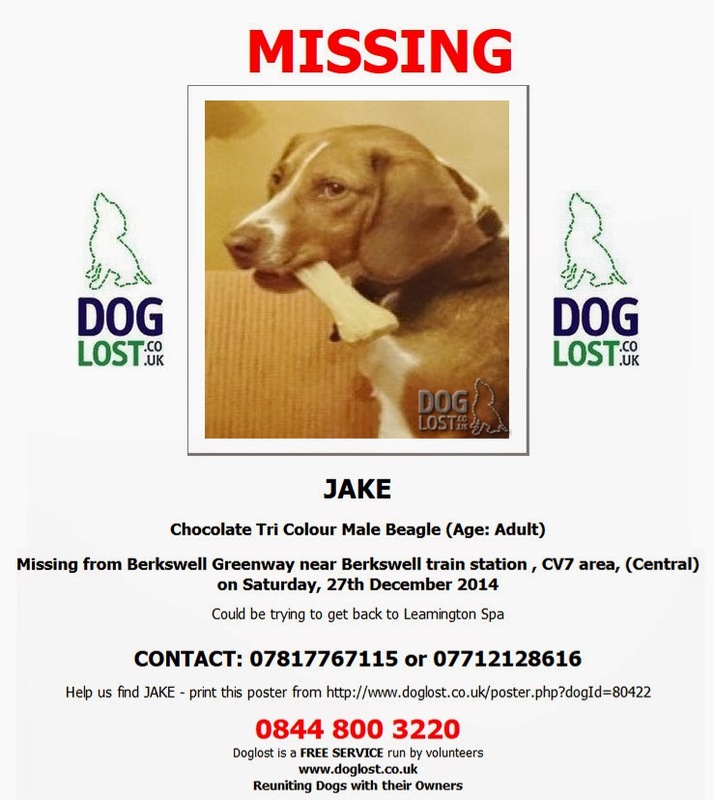 Missing from Berkswell Greenway near Berkswell train station, CV7, on Saturday, 27th December 2014. Could be trying to get back to Leamington Spa. 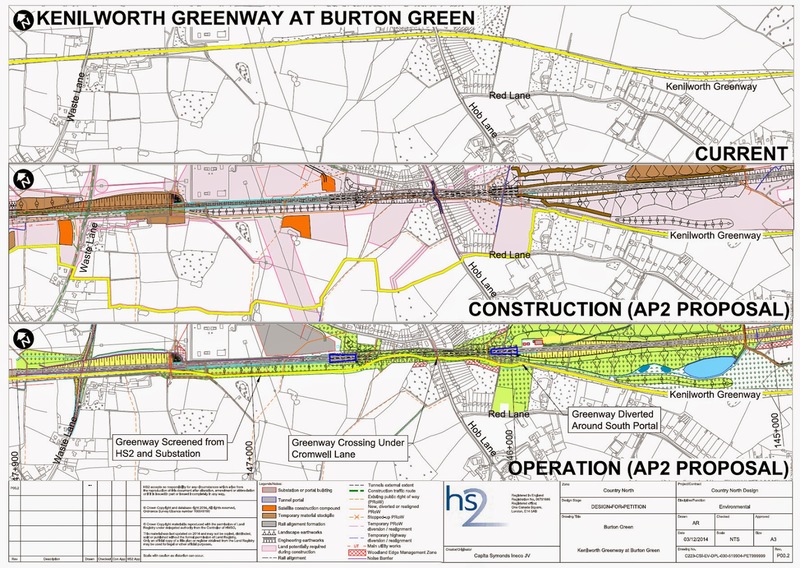 Warwick County Council is considering changes to the Burton Green Parish boundary. 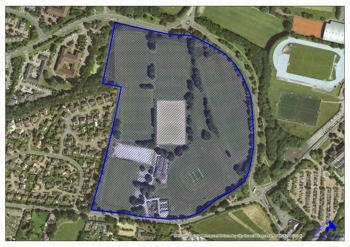 1) To move the present University ward from Ashow and Stoneleigh Parish Council to become a ward of Burton Green Parish. 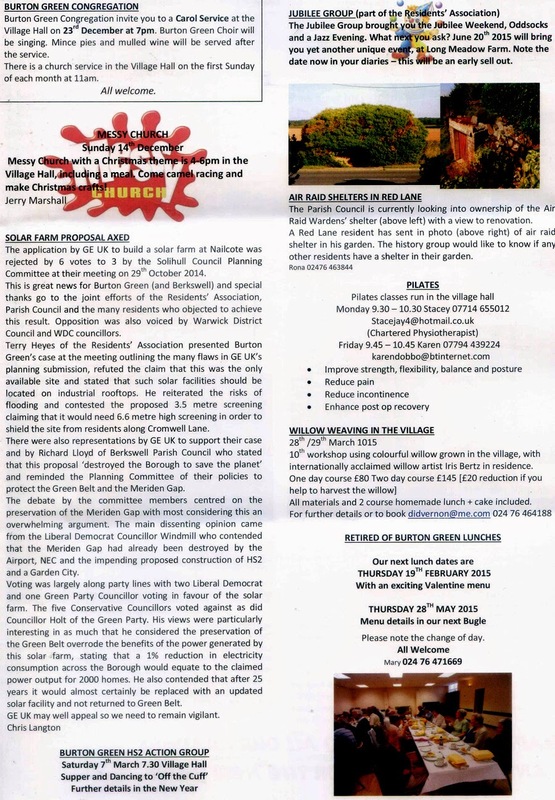 The justification for this proposal is based on co-terminosity, as the Parish Council and District Council elections are held on the same day every 4 years. 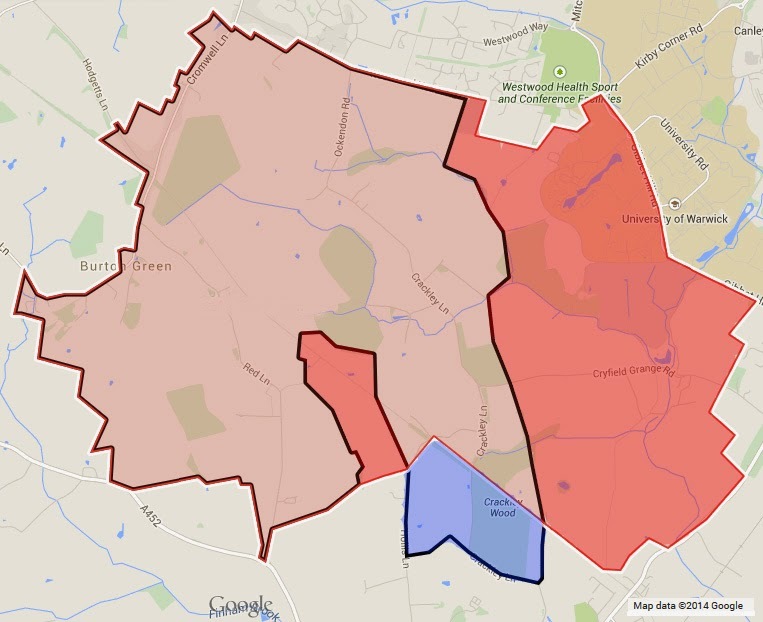 It will avoid confusion for the electorate by having the same ward boundaries. This affects 1705 electors. 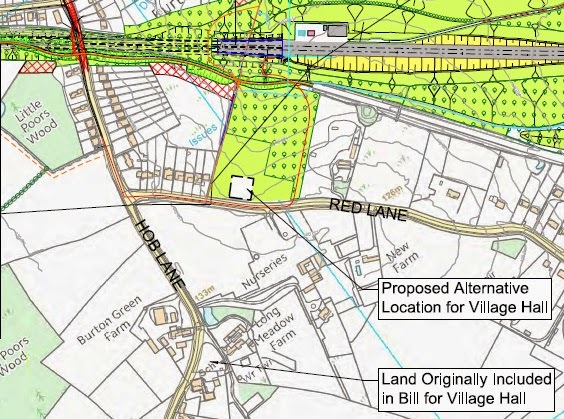 2) To realign southern boundary of Burton Green Parish. 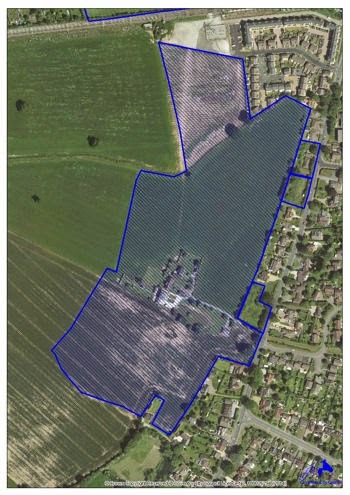 The justification for this proposal is to tidy up an original boundary. This affects two electors. This is not a new post, just a reminder. 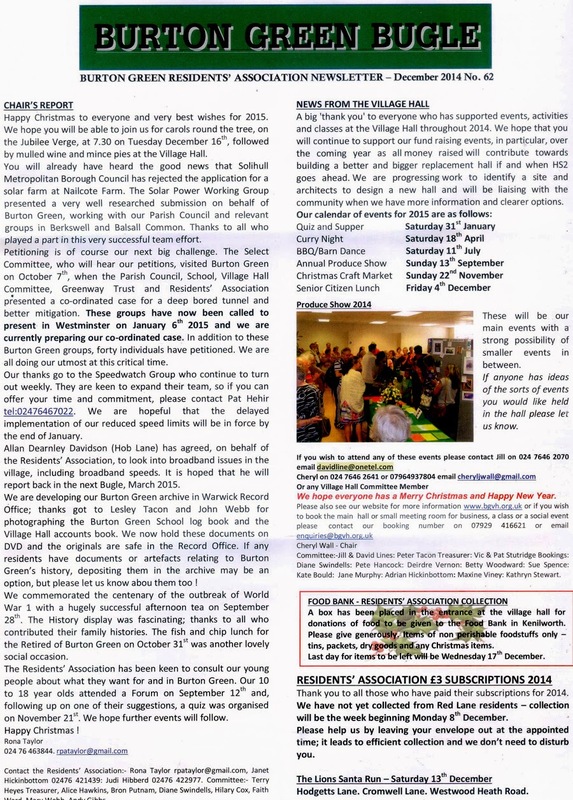 The December 2014 edition of the Bugle has been published. 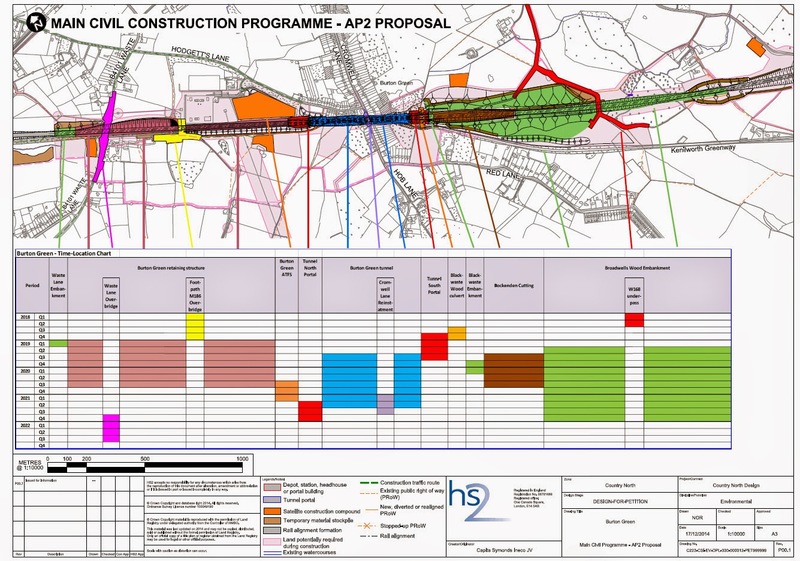 Jerry Marshall and Chris Langton have been interviewed by BBC News, about the HS2 compensation scheme. 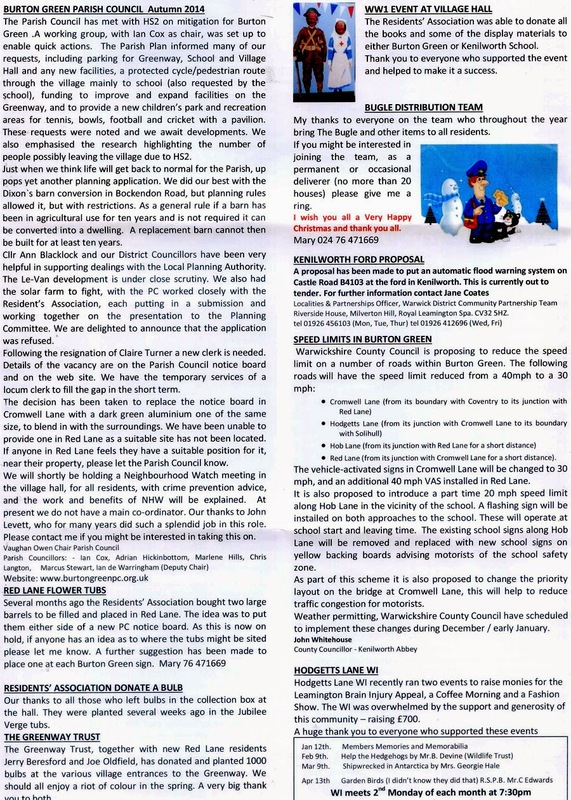 Click on the image to run the video.